The folks at Pet Drugs Online – who have an office just around the corner in Keynsham – have been potty about pooches for nearly 15 years. They sell dog food, prescription medication, flea treatment, wormers and more for around 50% less than vets. You can save another 10% by using code WOOFWASH19 (use before 30th June 2019). We caught up with them to find out some of their favourite dog-shaped facts, and here’s their top 13. #1 Puppies will grow to half their adult body weight in the first four to five months. But then take another 12 months to gain the other half. Unlike humans who can put on half their bodyweight in a single Christmas. #2 Humans may trump dogs in the taste bud arena, 9,000 to 1,700 but some dog taste buds can sense water, which helps them to maintain a good internal fluid balance. Even with 7,300 extra taste buds humans can’t do this. #3 Dogs roll in dirt, rubbish or worse because the odour masks their own smell. This was useful when they were wild, as it both masked their smell from prey and kept their scent away from predators’ noses. #4 A dog’s whiskers (vibrissae) can detect subtle changes in air movements, which helps them ‘see’ in low light conditions, by sensing the nearby motion. Originally this was to help them spot prey or approaching danger at night time. #5 In more low-light news, dogs’ night-vision is further enhanced by the mirror-like membrane ‘tapetum lucidum’. This rebounds the light that their eye’s rods (light-and-motion sensitive cells) didn’t absorb into the retinas, so they can see more in poor light conditions. #6 A dog’s shoulder blades are actually ‘detached’ from their skeleton. This offers them far greater flexibility which aids them when they run. It also means they can take up more of the sofa. #7 Dogs have more than twelve separate muscles that control the movement of their ears. They are called the auricular muscles – a group of muscles which controls the movement of the pinna or outer ear. It helps them focus on sound and look cute on Instagram. #8 The American Water Spaniel was a hunting dog developed to be able to retrieve game from boats in the Great Lakes region. Their thick coat, webbed feet and small body size meant they could leap from the boat into the icy water, get the fallen bird and hop back in with ease. #9 The University of Manchester found there was a 50/50 split between left and right pawed dogs. Which makes them far more sinister (look up the original definition) than humans who have 90/10 right to left division. #10 The only dog unable to bark is the Basenji. This breed is from Central Africa and legend has it that the ability was bred out of them so they could not give away their owner’s position to enemies. They do make a noise when excited, a sort of yodel, which isn’t a giveaway. Apparently. #11 30% of Dalmatians suffer from single ear deafness. This is more likely to afflict Dalmatians with blue eyes, than those with brown. Similarly, those with a smaller ‘black to white’ ratio are more likely to suffer. This deafness is caused by lack of mature melanin producing cells – a trait common with other spotty and albino coated dogs. 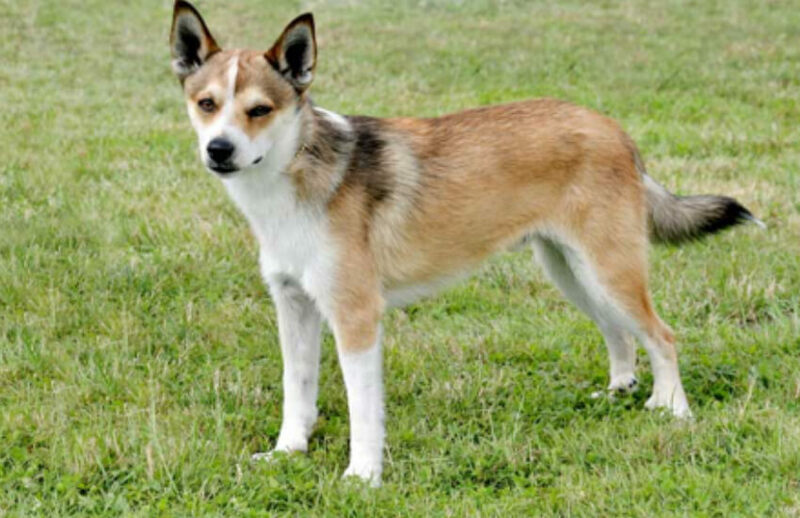 #12 The Norwegian Lundehund has 6 toes and their ears can be folded shut. In historic times, this apparently helped them hunt puffins. #13 Dogs have a third eyelid. This 3rd eyelid is called the “haw” (or nictitating membrane by vets who want to sound fancy) and its job is to protect the eye and keep it lubricated. So there you have it! Bring on the dog round at the pub quiz! Pet Drugs Online was started in 2005, from the office of Somerset vet John Campbell. The goal was to allow clients to dramatically cut their pet health care costs. Nearly 15 years’ later it is the UK’s biggest supplier of pet medication, helping even more pets get the medicines, supplements and foods they need at a fraction of high street prices. Have a browse if you’re looking for dog flea treatment, dog wormers, dog food or prescription medication and see how much you can save. And don’t forget to use code WOOFWASH19 (use before 30th June 2019) to save an extra 10%.